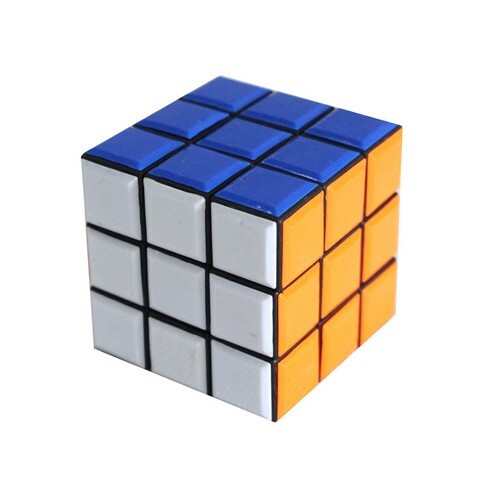 Puzzle Magic Cube. 5.5 x 5.5 x 5.5cm. Orange | Blue | White | Green | Yellow | Red Sides. Plastic. 65G Packaging: PVC Cylinder with Sticker.